I was feeling low. I used to feel myself passive every time. I used to feel like I am the weakest girl throughout the world. I was feeling depressed and I was eagerly searching for ideas to make my brain active and to boost up my brain. I was willing to boost my brain and I was willing to get rid of depression that was killing me inside. Elevate is the best and perfect Android Application for brain training. Elevate provides personalized brain training to improve our skills. This is a multi-featured application which significantly improves our skills, improves focus, math skills, memory processing speed, speaking skills and many more. It includes from simple and basic skills to advanced skills. It seems like game, provides us fun and automatically boosts our brain. The more we use this application, the more we will be trained. And the more we will be trained with application, the more we will be able to face difficult situations, the more our focusing capacity will be increased, the more our critical cognitive skills will be increased, the more self-confidence will get raised, the more earning power will be gained. Elevate includes more than thirty games and skills like memory, math, precision, focus, processing, etc falls under them. It provides daily dose for us and if we are interested for even more, we can play again and again until we become perfect. For the first, second time, it seems a bit difficult but then after we will enjoy it and finally we will be addicted. Elevate provides detailed performance tracking. It has been taking first position. In many journals and news also, Elevate is provided with more priority among Brain Training Android Applications as they also found this amazing. Being filled with many features, still new features are being added. New games, speech analysis, report of error avoidance content, etc are added. Also for spelling, British-English support with additive content for Agility, Brevity, Memory, Spelling and syntax are new. Among huge lists of brain training applications, Brain Wars is a competitive app. As people from all over the world use Brain Wars, users can compete against players/users from around the world. Frequently playing braining testing games encourage us to take more challenges, defeat others and our brain power gets boosted through continuous challenges. With simple rules, we will be trained mentally and concepts that suits for everyone are used. To improve our brain function, we do not need special knowledge, but we should play continuously. Continuous practice makes us perfect, strengthen our memory power, improves our intelligence, concentrating capacity increases and automatically our brain gets boosted. Lumosity is one of the best Brain Training Android Application. This application is dedicated to boost our brain, to train our memory, activate our brain to give proper attention, boost our memory speed and so on. This application challenges our brain. We are habituated to take challenges, get victory and same process goes in Lumosity. This brain training application consists of numbers of games which are based on common cognitive and Neuropsychological tasks. It effectively helps us to improve our intelligence, thinking capacity and many more. The games of Lumosity make us to forget that we are giving our brain a workout. This is clean and excellent performing application. As it gives daily training through games, our brain gets boosted day by day. Neuronation is a brain training app which is like game. We can train our brain with fun. Brain testing games of this application significantly improves our brain. This application helps us to strengthen our memory power, helps us to make our brain attentive, helps us to think faster and take decision faster, helps us to increase our intelligence, etc. Such brain games are developed in co-operation with renowned neuroscientists and are based on state of art scientific research. Though there are many other such applications, it is comparatively better. We have to test our limits in order to grow our brain. We can improve our cognitive abilities with this app. NeuroNation provides us an array of exercises that are easy to use, motivating and fun providing together. Its’ UI seems attractive so that it captures our eyes and finally our mind. This is really a great app and you should give it a try. This brain training android application contains many Neuroscience-based games which help users track and improve cognitive performance. This includes more than twenty great challenging mini games of different categories such as mental agility, language, problem solving, focus, memory, etc which are designed with the help of experts in Neuroscience. Peak includes adaptive and dynamic game difficulty to keep the brain training challenging. 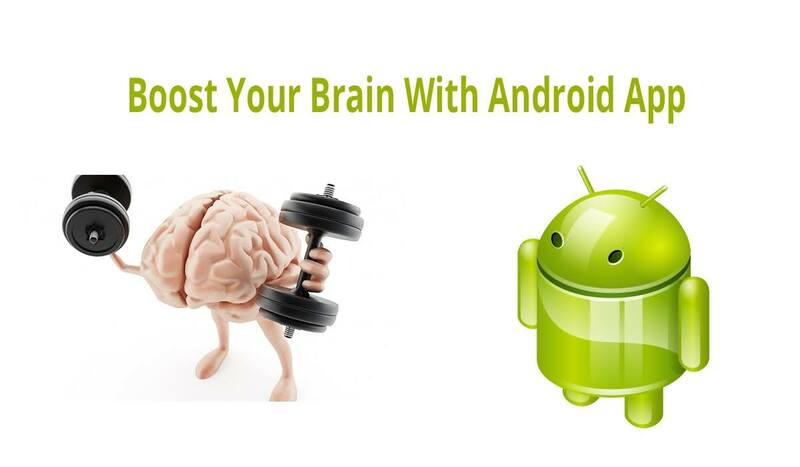 This brain training android application is a personalized brain training android application specifically designed to improve our brain. With the aim to get our brain in tip-top shape, peak offers adaptive and dynamic difficulties, periodic goals and unique challenges. Its’ ultimate goal is to make our brain training fun and rewarding. As it includes many games which train brain along with giving fun, it has been chosen as a great brain training application.